We need more great and caring people LIKE YOU to join our staff! 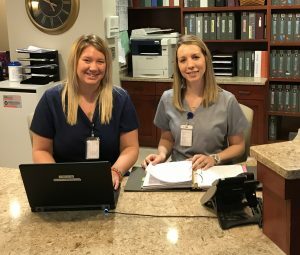 At St. Anne’s, we understand that providing our Residents with quality care begins with our caring staff. If you are interested in joining a great team, and working in a friendly and rewarding atmosphere, please take a look at our current job opportunities, listed in alphabetical order, below. Most positions require some weekend and holiday hours. which benefits and supports personal and career development. A traditional PPO provider with a minimum deductible system for those eligible. Coverage of preventative, simple restorative and major restorative for those eligible. Coverage available for exams, frames, lenses and contacts. Provided for eligible employees at no cost. St. Anne’s will match for eligible employees up to 5% of the employee’s contribution. St. Anne’s provides LTD for eligible employees for qualified absences over 90 days. Confidential counseling for employees and family members. A wide range of benefits offered through AFLAC.